Text Adventure Time brings together Young People to the libraries of Wigan, Burnley and Hull to create one EPIC piece of Interactive Fiction about the North. 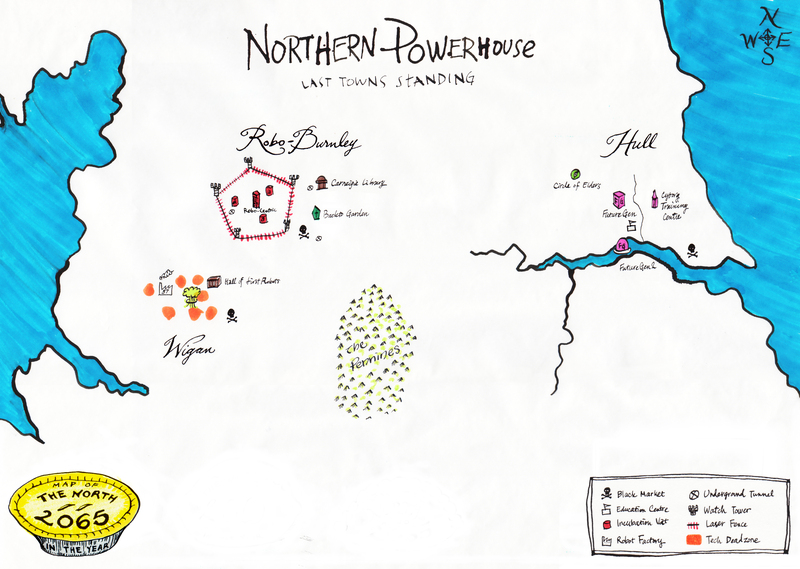 The first digital commission for FACT‘s Networked Narratives, the youths of the North worked collaboratively to create a text adventure game, which after a year long process became Northern Powerhouse: Last Towns Standing. The three cities sent a representative to choose a genre, and then separately explored their area through a combination of DIY cartography, map making, creating writing, Twine & making workshops to plot and create an alternative world. Through further workshops of narrative building, the stories became the interactive game. Three summits with representatives from each city come to intertwine the story – with the final output as a text adventure game, with supporting materials ie Artefakes. These artefakes supplement the stories, bringing to life the fictional alternative world the Young People create. 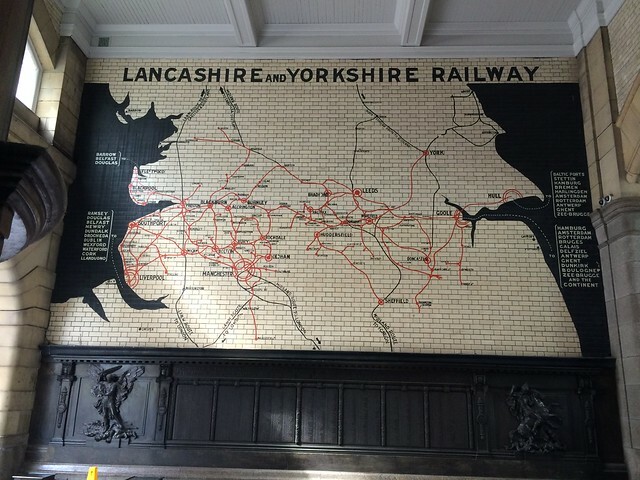 The artefakes became the Northern Powerhouse 2065 touring exhibition.